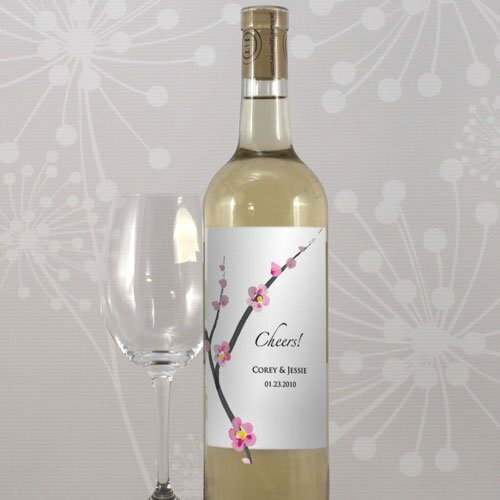 What a great way to add a personal touch to the wine or champagne bottles at your reception or event. 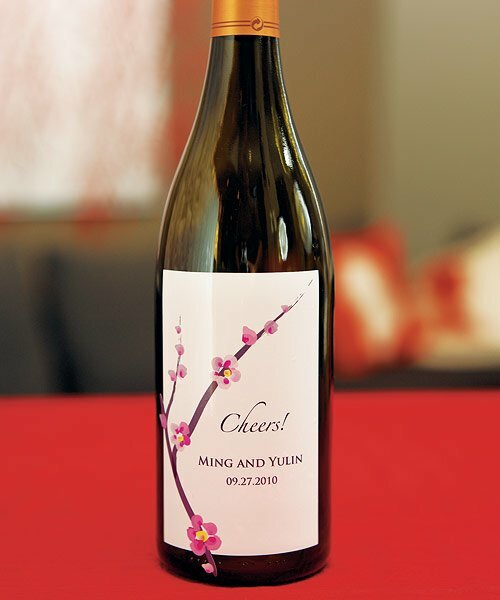 Each of our self-adhesive custom wine labels for weddings includes our romantic cherry blossom and branch design along with a personal 10 character message like "Cheers" (or the kind of wine), your names, and wedding date. Labels are sold in sets of 8 with a three set minimum order requirement. 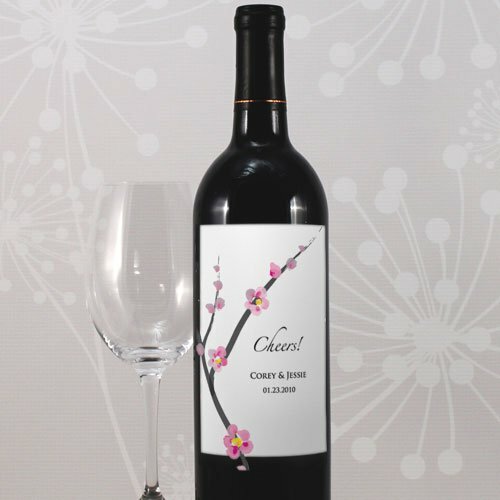 Bottles not included. Product dimensions: 3.55 x 5.5". 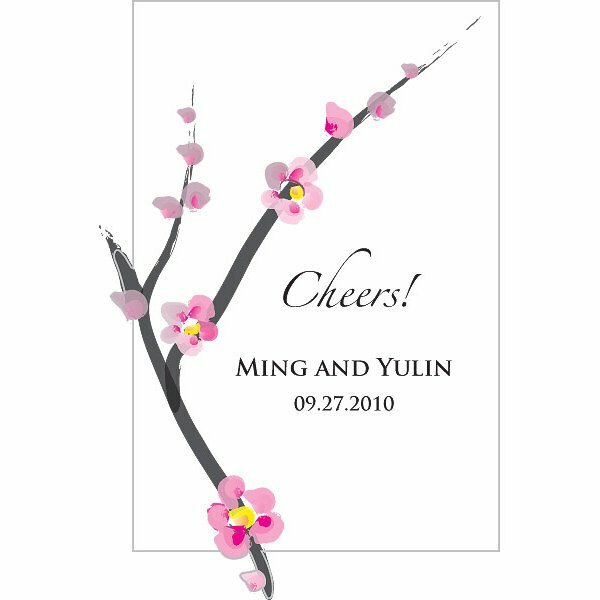 These labels are part of our cherry blossom stationery and accessory collections.